The leader in modern aircraft construction is the USA with 53% of world market, the total volume of which is $155bn. Russia has its modest 3.4% and mainly due to military airplane sale. Nowadays 248 Russian enterprises relating to aircraft industry are under operation. Their proceeds came to more than 608bn rubles last year. The considerable contribution to Russian aircraft development is made by the pc “ Irkut Corporation” which is a member of “United Aircraft Corporation”. The share of the company is 15% of Russian arms export volume. The Ministry of Industry and Trade of the Russian Federation annually within the last four years awarded the Corporation with the title of the best exporter in the nomination of “Aircraft building (aircraft construction)”. The proceeds of the company had a threefold increase within ten years. According to 2011 results “Irkut Corporation” gained net profit coming to $123m. One of the most required multipurpose fighters SU-30МК is produced here. It is the first serial combat aircraft with super maneuverability and the world’s first export fighter equipped by airborne radar with a phased array. Fighters of SU-30МК type are chosen as the main combat planes by air forces of India, Alger and Malaysia. From 1996 to 2010 “Irkut Corporation” made fixed contracts on delivery of nearly 3300 planes and airplane-complete set of SU-30МК type to foreign customers. More than 2300 of them have already been delivered to the clients. Planes SU-30МКI of Indian air forces are planned to upgrade. At present Russian and Indian specialists coordinate technical aspects of renewed plane “Super-30”. 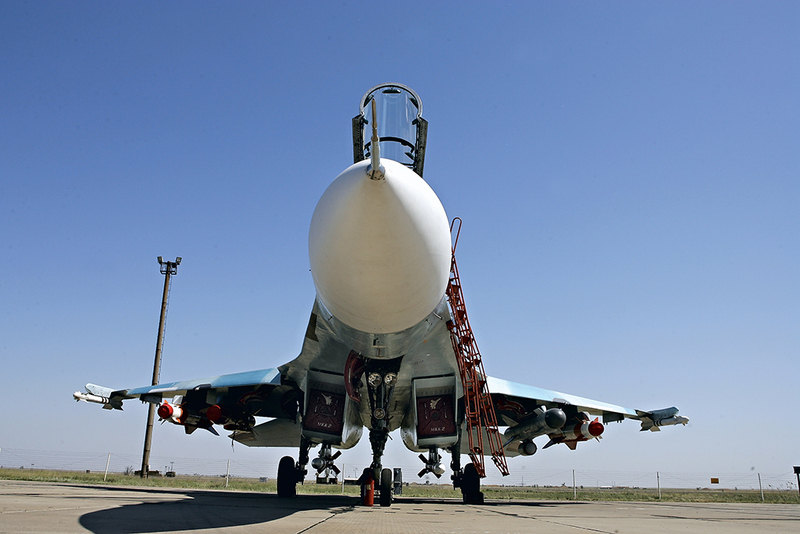 The plane will be able to use perspective arms of Russian and foreign producers. Together with Indian partners the work on integrating a supersonic anti ship missile “ BraMos” into SU-30 MKI arms is being held. Jointly with the Sukhoi Aviation Holding Company a new modification of SU-30SM is being created and the first two planes Су-30СМ are under flight tests. Not long ago the Corporation transferred the first lot of 6 combat training aircraft Yak-130 to the Russian air forces. They will enable to train pilots for the Russian and foreign combat planes of the generation “4+” and “5” at the most up-to-date level. The airplane is a basic component of a training complex including an integrated system of object control, training computer classes, flight and specialized simulators. In 2011 export delivery of the first lot of aircraft Yak-130 was completed. Yak-130 market capacity in the intermediate perspective is estimated as 250 planes. Its serial production at Irkutsk aircraft plant is carried out with the application of the most modern digital technologies. Combat planes have been developed, designed and assembled in Russia for a long time, but the production of civil and military-transport aviation is only at the very start. According to the Ministry of Industry and Trade estimations, world passenger and cargo traffic will have to increase twice and 2.3 times greater by 2025. Redistribution of European market demand for Asian one and the growth of civil aircraft building till 75% are expected to take place simultaneously. The basic perspective project of the Russian aircraft industry in the field of civil aviation is the passenger aircraft of the new generation MC-21. The pc “Irkut Corporation” is developing a short- and medium haul aircraft family intended for passenger traffic by domestic and international airlines. New airliners should replace TU-154 and TU-204 family. The first plane is planned to take off in the second half of 2015; deliveries will start in 2017. Agreements and contracts to deliver more than 250 planes are signed with Russian and foreign companies. “Irkut Corporation” together with Yakovlev Open Bureau is the leading developer and integrator of MC-21. PCS “Tupolev” and the “Sukhoi Civil Aircraft Company” are also participating in its development. Maximal flight range of the new liner comes to 5500km. It is supposed to compete with A320, “Boeing-737” and the Chinese C919 of COMAC development at the international market. In comparison with present analogs the airliner MC-21 will enable to decrease costs alongside with passenger comfort increase. Operational costs economy is 10%, fuel consumption per passenger is reduced by 23%, NOx emission is cut down by 50% and carbon dioxide emission –by 24%. Designers took care of future passengers of the airline. Thus, the pressure in the cabin corresponds to the altitude of 1830m (6000ft) at sea level (2450m with present planes), noise is considerably reduced, and an optional system of air humidifying is installed in the cabin. All these innovations will enable to improve the way passengers feel during and after the flight. Irkut aircraft plant has already started to produce the first lot of large-size details of the new passenger airline MC-21. “Russia must have its strong aircraft industry – it is the requirement of both our security and technological sovereignty,” said President Vladimir Putin stressing that it is necessary to rely on the domestic producer in the first turn. The head of the state called end-to-end upgrading of the whole aircraft industry, both civil and military as one of the basic issues: specialist training, updating of probationary and production infrastructure, development of the whole chain of attendant manufactures – an elemental base, perspective materials including composites. Experts are sure Russia will considerably expand international cooperation and will take an appropriate place among world aircraft building leaders after realization of assigned tasks.